I have been itching to do a little design redo in the love nest. This is right up my alley and my budget for that matter. I might have to try this out. After all, who doesn't have a million old pics hanging around? I will post the end result if it goes accordingly. While I am at it, I think I will try this too. 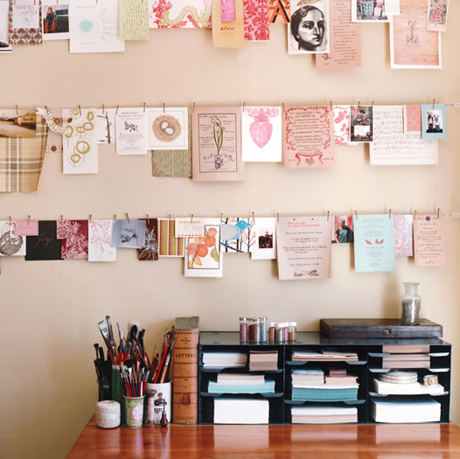 I love inspiration boards and this would look fantastic above my desk.